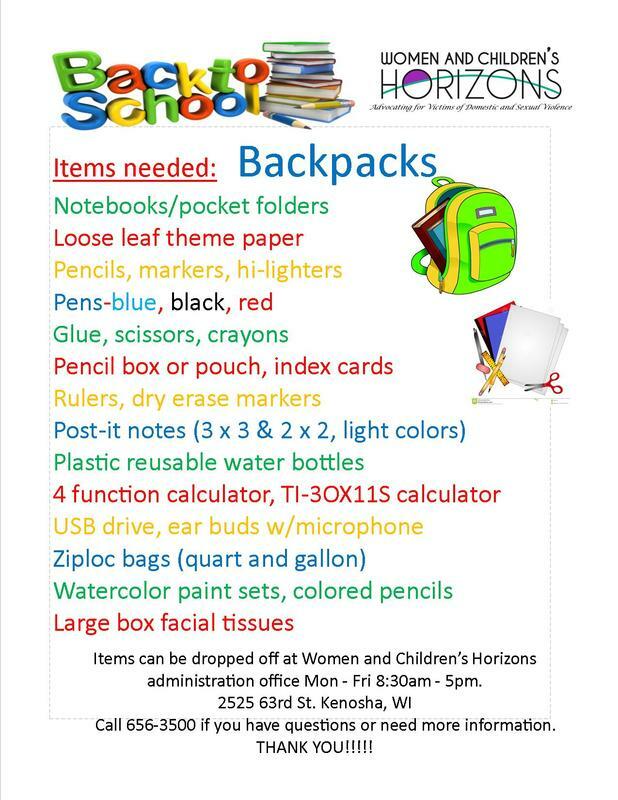 How To Help | Wish List :: Women & Children's Horizons, Inc.
Fresh meats (turkey, ham, ground beef, lunch meat, etc.) Milk, juice, bread, eggs. Non perishable foods: canned meats (tuna or chicken), canned veggies and fruit, pasta, cereal, rice, beans, hamburger/tuna helper, pancake mix, biscuit mix, granola bars, cookies, juice, beef stew, chili, soups,jelly. Cleaning supplies: liquid laundry detergent, disinfectant wipes & sprays, mops, buckets, brooms, rags/sponges. Paper Products: toilet paper, paper towels, paper plates, kleenex, napkins, & garbage bags. Personal Care: feminine products, deodorant, body wash, shampoo, conditioner, lotion, razors, shaving cream, hand soap, hand sanitizer, toothpaste, floss. Hair products: hair spray, gel, mousse, hair ties, headbands, hair clips, and African-American hair products, bristly burshes, hair grease. First Aid: band-aids, anti-biotic cream, rubbing alcohol, peroxide, gauze, Children’s Tylenol/Advil, allergy and cold medicines for adults and children. Gift cards to Office Max or Best Buy to purchase printers and or ink.